Heartfelt messages and tributes continue to be paid to Jarvin Blake after he was stabbed and killed in Sheffield yesterday afternoon. 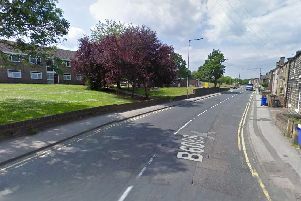 The 22-year-old was knifed at the junction of Brackley Street and Catherine Street in Burngreave at around 3.20pm on Thursday. He was rushed to hospital but sadly could not be saved. Tributes instantly began pouring in and have continued to do so as family and friends say goodbye to a 'wonderful father and friend'. Jarvin had three young children with his fiancee Kelseyy Rosee and her sister, Hollie Dixon, has paid tribute to an 'amazing brother'. Hollie said that the couple have been together for the past eight years and that she will always regard Jarvin as her 'big brother'. She wrote: "Oh Jarvin I miss you so much bro. Never being able to hear you say to me 'you alright Holl' or sticking up for me or having laughs and play fights with me. "You really are an amazing brother, you will always be in heart and trust me you will never be forgotten. "I wish you didn’t get taken away and I feel lost without you here. My heart's completely torn . "Jarv I love you so much words couldn’t describe, never felt heartbreak like this. "My hearts hurting but don’t worry - we are going to take care off Kelsey and the kids for you. Just keep an eye over them and they will never be alone." Police said Police said it is believed a car pulled up and an unknown number of people got out before chasing Jarvin and his friend down the street and stabbing them. Another man, aged 23 and a friend of Jarvin's, was also stabbed and is recovering in hospital. No arrests have been made yet. "There are also increased police patrols in the area, to reassure the public."